This is one of those posts which is long overdue. Back in April I went to the Natural Organic Products Europe exhibition at Olympia and connected with some great companies, many of which I aim to stock in my online shop. 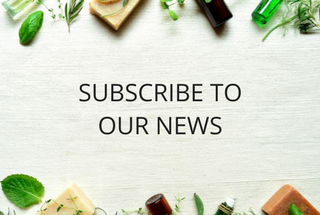 I have lots of posts lined up to share with you from these great companies and one of them is Mary Elizabeth Natural, Organic, Ecofriendly Skincare & Bodycare. I was unable to get around to seeing Cecilia the founder of Mary Elizabeth on the day of the exhibition but she kindly sent me one of her remaining sample packs so I could try out the range. 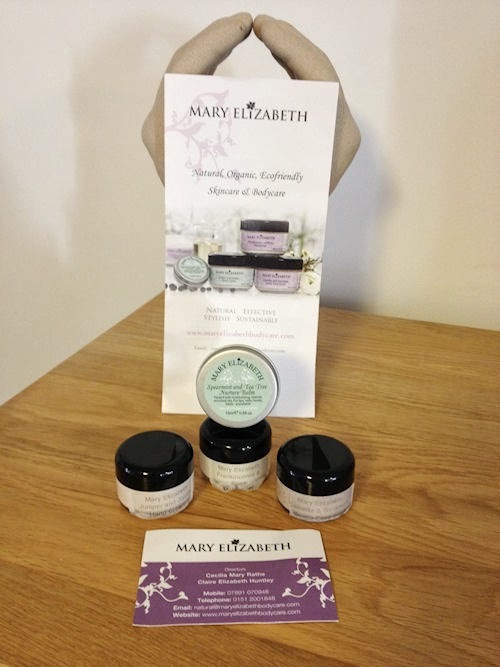 Mary Elizabeth is made up of four products; a skincare range which includes their Frankincense and Rose Moisturiser and their Camillia & Geranium Gentle Face Scrub, and a Nurture Range which includes their Juniper and Jojoba Hand Cream and their Spearmint and Tea Tree Nurture Balm. 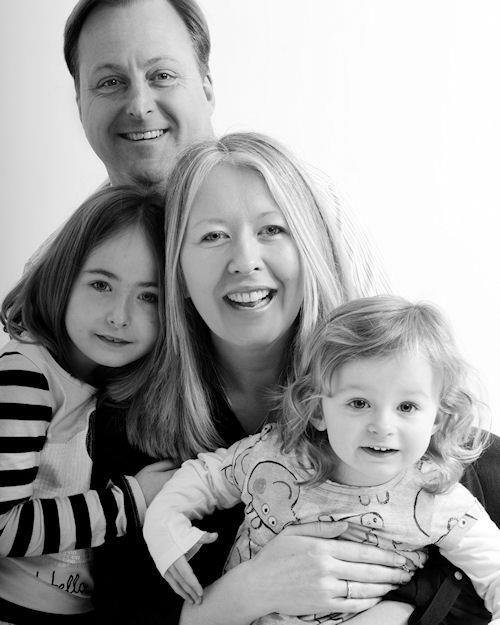 Cecilia founded Mary Elizabeth after she’d suffered with skin cancer and following a course of treatment found her skin was left red, irritated and itchy with a chance of possible scarring. She was unable to find the products she was looking for which were pure enough for her now sensitive skin, so like many others before her, she put together her own range of products free from all the chemical nasties found in most mainstream products. The first thing I love about this range is its simplicity. There is nothing complicated about the range and it could be added to in time with a few more key products without complicating things. I find some skin and bodycare ranges overwhelming and can get lost in which product to choose. Not so with Mary Elizabeth. It’s worth mentioning before I give my thoughts on all four of the products in the range that they were all featured in the Skins Matter Skincare Awards 2013 and came commended for their moisturiser, hand cream and facial scrub and won bronze for their Nurture Balm. Their hand cream was also a winner in the Green Parent Natural Beauty Awards 2013. I think for a very young company this is worthy of real praise. And I can see why because I’ve thoroughly enjoyed trying out the range from the samples I was sent. So on to my thoughts on the products. This is a lovely gentle facial scrub which is not scratchy on the skin. It has a nice subtle scent nothing too overpowering and my skin felt lovely and soft afterwards. I can get a bit of skin build up around my T-zone area so scrubs are great for this, but I can’t use anything too abrasive. I like this product a lot and I’m still using the last bit in the pot. It’s got a lovely texture which works well on the skin when water is added. It can be used every day and is rich in vitamin A. Camelia and Avocado oils combine with the Geranium and Lavender to soothe, smooth and refresh the skin. This is the one sample pot I’ve used up completely and I’m sad I have. The smell of this moisturiser is lovely. Natural, fresh, and it goes on to my skin really well. I loved the fact that this moisturiser although for all skin types did not leave my skin greasy. I often find that “all skin type” moisturisers lean more towards dry skin with a rich cream that leaves my combination skin suffering with moisture overload in the form of shine ! This does not happen with Mary Elizabeth’s moisturiser. It sinks into the skin perfectly and I found it a great base for foundation. My skin felt smooth, matt yet hydrated. I didn’t end up all shiny which was an added benefit. This moisturiser uses Jojoba and Meadowfoam oils to boost and brighten your skin’s complexion whilst the Frankincense and Rose oils combat the signs of ageing. If you are a regular reader you will know that I rarely use hand creams as most leave my hands greasy. This in turn makes them slippery and blocks the pores in my skin. I therefore struggle to find hand creams that work for me. However, the Mary Elizabeth Juniper and Jojoba hand cream will be one of my top hand cream buys as it works perfectly for my needs. It smells gorgeous and sinks into my hands perfectly. It’s a lovely creamy texture but leaves no residue behind and my hands are left feeling silky smooth with no greasiness at all. I love it and will definitely be getting myself a full size pot of this one for my handbag. The hand cream has Jojoba and Calendula Oils with Juniper, Geranium and Chamomile. NB.The blend of oils in this fabulous hand cream have a synergy all of their own. Just try it and you will know what we mean! • Great for feet and heels! • Whenever needed - Wherever needed! 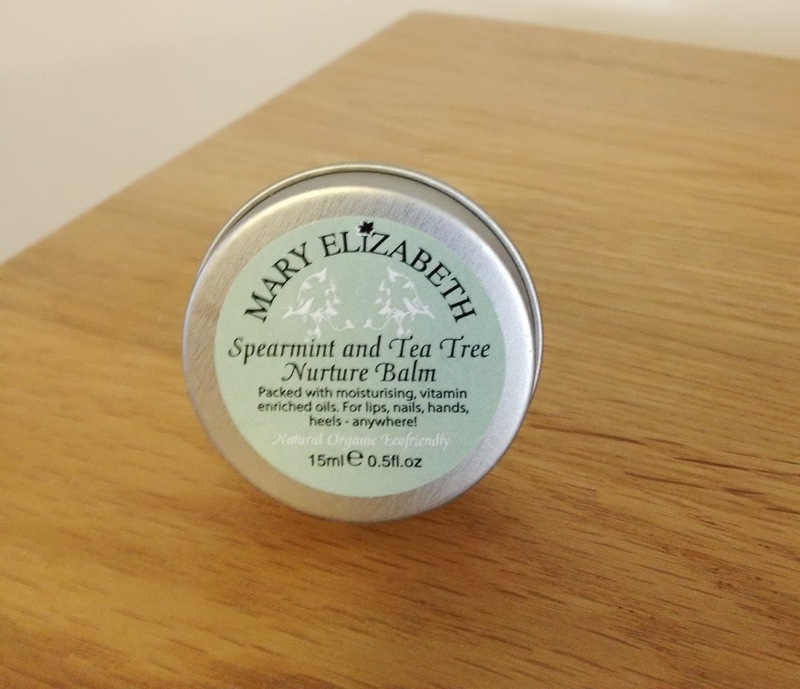 It has moisturising Shea Butter, vitamin enriched oils and beneficial Spearmint and Tea Tree Essential Oils and I have loved using this particularly at bedtime when my lips can get very dry in the night. It does lose its potent minty smell over time but it is still a great handy product to have in your handbag. For any of you who haven’t come across Mary Elizabeth’s range before I’d definitely recommend you give it a try. I’d love to see a cleanser and perhaps a serum / skin oil added to the range which would complete the picture perfectly but as it stands it has four great products. Disclaimer: I was sent sample sizes of the Mary Elizabeth range to try following my visit to the NOPE exhibition in April 2013. The view, thoughts and opinions given are my own honest and true feelings on the products I used. I have always had a passion for health and nutrition. I’m a great believer that you are what you eat and as a qualified Holistic Therapist I know that what we feed ourselves on the inside has as great a bearing on our health as what we put on it. In fact I’d say it has a greater impact. 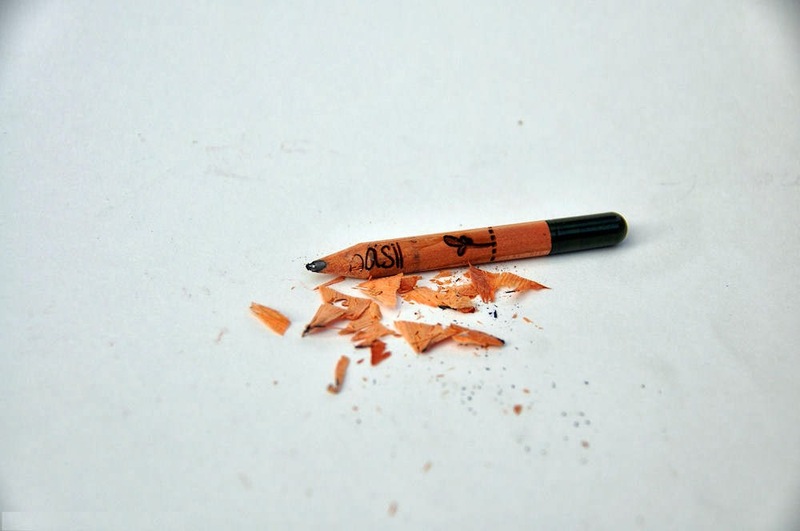 We now live in a “quick fix” world. Everything is achieved on the run. We are always in a hurry rushing from one important meeting to the next, running around after the children, or just generally packing our lives full of important things to do. However, what generally happens is that we reach for snacks to fill the hunger gap on the run rather than taking the time out to eat healthily. It’s a shame because over time the body becomes depleted of the vital nutrients it needs and we can end up getting sick or not operating on top form. The food we eat, particularly fruits and vegetables are sadly far less densely filled with the vitamins, nutrients and phytonutrients they once were due to intense farming practices. This means that the need to supplement is more of a requirement now than it ever used to be. Children as we know can be fussy eaters and making sure they eat a varied and balanced diet can also be a challenge at times. Rickets has been making a comeback in recent years mainly due to the use of sun screens which can block the skins ability to absorb large amounts of vital vitamin D. Therefore for children the need to supplement can now often be a consideration. My girls are good eaters and love food. I involve them in the process as much as possible and try to educate them on how what they eat affects their bodies. Even at a young age they can learn so much. 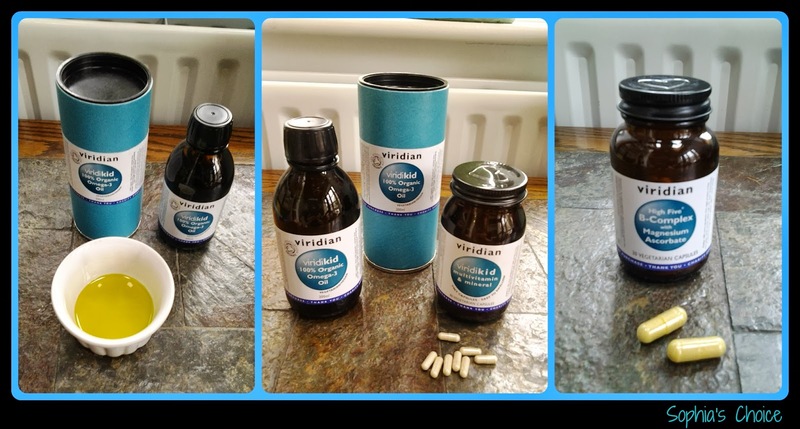 I do often supplement their diet with vitamins, minerals and oils so when the opportunity arose to try out and review some of Viridian’s range of supplements I jumped at the chance. Viridian Nutrition was founded in 1999 and is a leading brand of ethical vitamins. They use only the purest of ingredients and are environmentally aware. Viridian is a UK-based, family owned company who guarantee products are non-GM, non-irradiated with 100% active ingredients with no nasty additives, no added sugars, no colourings or artificial flavourings. Many nutritional supplements are made up of glues known as binders to hold the tablet together. This can be a real issue if you are hyper allergenic. 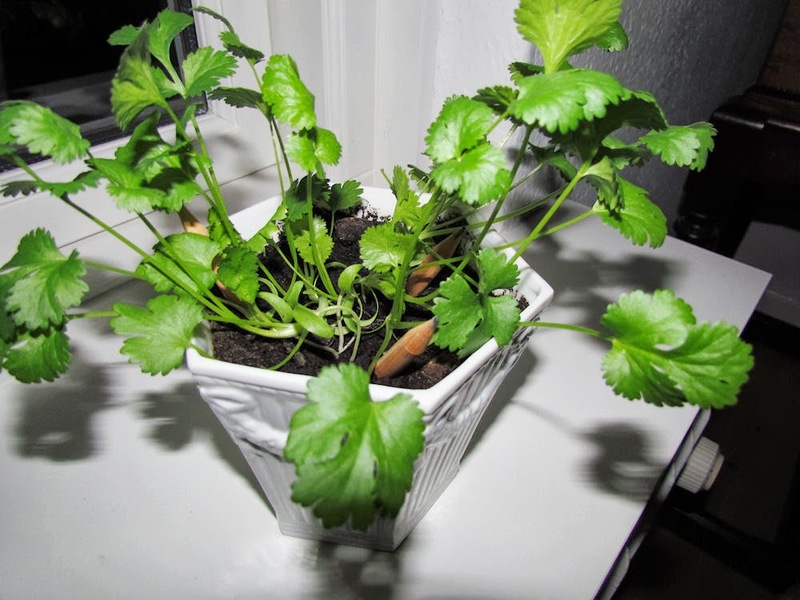 In addition some use magnesium stearate, stearic acid, shellac, talc and colourings which is a real worry. Viridian pride themselves on the fact that they make their capsules, liquids and powders as pure and simple as possible, avoiding all the nasties and have shown that it is possible to make a range of nutritional supplements which are acceptable to the majority of people. "Our mission at Viridian Nutrition is to bring health and wellbeing to everything we touch. From the fields where much of our ingredients are grown through to the recycling bank where the glass bottles are collected, we wish to follow the ethical principle of 'care for others as we care for ourselves'. 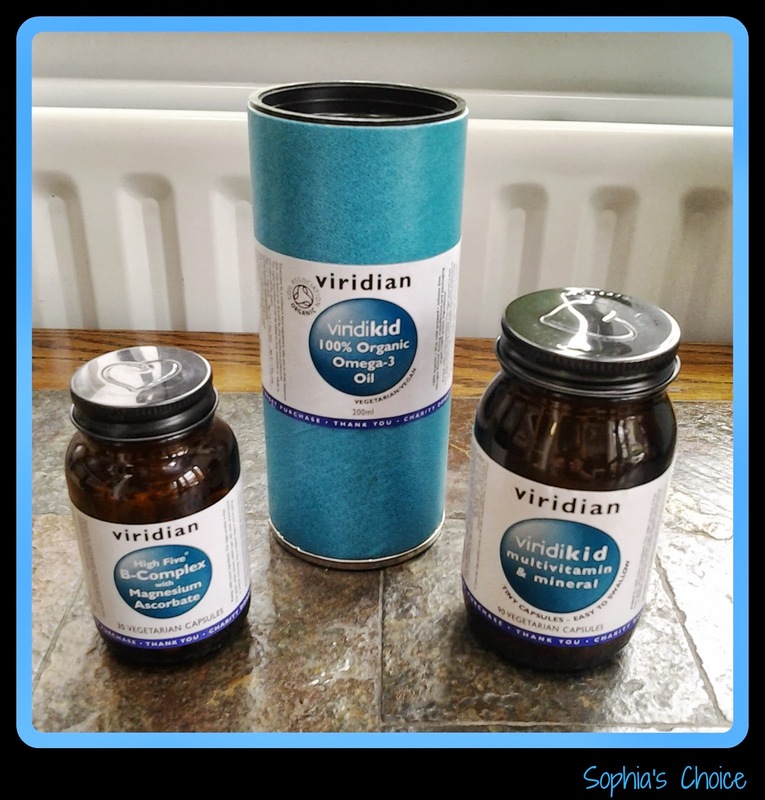 I was sent a bottle of their ViridiKid 100% Organic Omega-3 Oil, ViridiKid Multivitamin and mineral for the girls and for myself a Viridian High Five B-Complex with Maganesium Ascorbate to try out and here are my thoughts. Firstly, I like the fact that Viridian are committed to making their range as pure as possible. The first thing I noticed was that the vitamins and minerals are in capsule form rather than the typical tablet which has bound the ingredients together. Choosing the right multi for your kids is a challenge. Cartoon shapes, blackberry flavours, syrups and powders are all on offer but they are often full of sugar or sugar substitutes which are misleading parents according to Viridian. The ViridiKids Multivitamin and mineral capsules are small and certainly for Sophia (aged 7) were the right size for her to swallow whole with her morning drink. Jess although 2 is still too small to swallow tablets whole with a drink so Viridian have designed them so we were able to sprinkle the contents of the capsule into juice, smoothies or yoghurt overcoming this issue. I tried this out myself in some yoghurt and have to say that the contents did not overpower the flavour of the yoghurt I mixed it in with which impressed me. This vitamin and mineral capsule is free-from gluten, wheat, lactose, added sugars, salt, yeast, preservatives or artificial colourings. The 100% Organic Omega-3 Oil is lovely and a gorgeous colour. It is a mix of certified (by the Soil Association) Organic Flax Seed, Hemp Seed, Avocado, and Pumpkin Seed, oils. It is free-from gluten, wheat, lactose, added sugars, salt, yeast, preservatives or artificial colourings. It is flavoured with organic vanilla oil and organic orange skin oil but to be honest having tasted it myself, these two oils are not that strong. 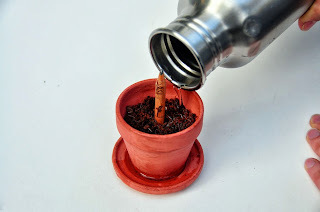 Some children may not like the oil taste in general but I’ve always had a drink nearby so they can sip at this to take any oily taste away if taken on the spoon. You can also mix this oil into smoothies, salads and even soups. I prefer that oils are taken in their purest form rather than as a capsule as the body is able to utilise it straight away without breaking down the capsule, so this oil is great for that purpose and I’d definitely use it again. I was sent a High Five B-complex with Maganesium Ascorbate for myself. This was a perfect choice for me as a busy, often stressed mother of two spirited girls ! I liked the fact that these capsules weren’t overpowering in smell. Other B-complex vitamins I have taken have actually made me gag when I’ve taken them purely from the smell of the vitamins themselves. This didn’t happen with Viridian’s range and I also found that they didn’t repeat on me which can often happen to me particularly B-complex. This product as with all their range is free-from gluten, wheat, lactose, added sugars, salt, yeast, preservatives or artificial colourings. The Viridian range has more than 180 vitamins, minerals, herbs, tinctures, balms, amino acids, specialty nutrients and nutritional oils. More than 40% of the Viridian range is certified organic by the Soil Association. As well as purity and the environment, Viridian Nutrition is also dedicated to charity. They have as a significant charity donation programme supporting children’s and environmental charities. I have come across Viridian nutritional supplements before but I have to say that I’d not realised the vast range they have on offer and that the range is so pure, ethical and environmentally friendly. Their main website is well worth a visit as it has lots of information on their range. You can also connect with them on Facebook and Twitter. Disclaimer: I was given a bottle of ViridiKid 100% Organic Omega Oil, a bottle of ViridiKid Multivitamin & mineral capsules and a bottle of High-five B-complex with Magnesium Ascorbate to try out and review for this post. My views, thoughts and opinions are honest, true and my own feelings on the products I tried. I’ve been impressed with the part of the range I have had the opportunity to use thus far and will be looking at trying out some more of their products in the future. Back in June I connected with Charlotte Double and Rachel Worthing from Natures Purest. They have a wonderfully friendly team and you can tell when dealing with them that they are very proud of their beautiful range of products. And so they should be. I’d admired their range when I originally found them on Twitter. I then saw a competition fellow blogger, Maddie Sinclair of Gammon and Chips was running for Natures Purest and it reinforced again just how lovely their products are. I contacted them as their range of dolls and cuddly toys are the kind of thing I've been contemplating for my online shop. Through our chats, they kindly offered to send me something for the girls and what arrived were the most gorgeous dolls and a beautiful blanket. Natures Purest range is designed for babies from 0-12 months of age. Many of the products are made using organically grown, naturally coloured cotton in shades of green, brown and cream. 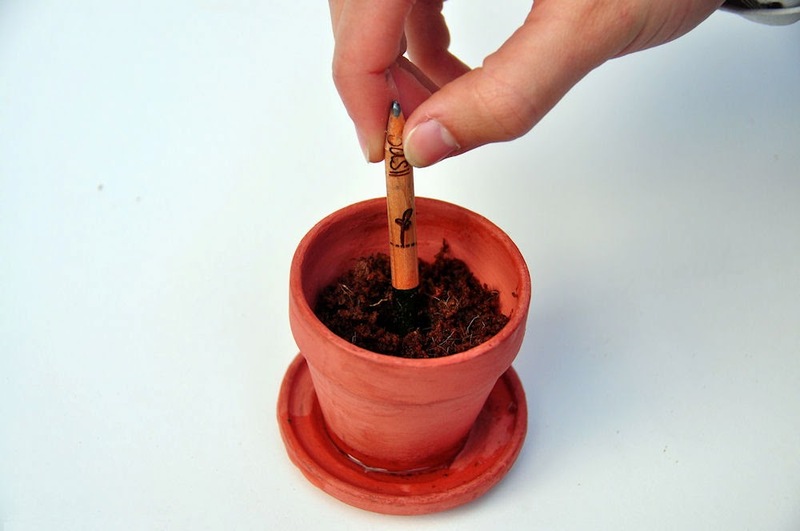 They are free from pesticides, chemicals and dyes and the colours used are natural and from plants. Their range covers bootees and bibs to Moses baskets and bedding and it also includes some adorable teddies, soothers and dolls all beautifully made and well thought out. The first thing Sophia did was to grab Natalie the ragdoll. She loved her. Sophia is 7 now but that doesn't stop the girls’ love of dolls and these are gorgeous. Natalie is big enough for small hands without being daunting. We were given all of our dolls for the girls by family and friends and they are all your typical plastic ones; Baby Annabel, Cupcake etc. The smaller ones are ok but the others are huge, heavy and frustrating for little hands to handle. I have to say that my hubby and I refer to them as “Chucky”! Remember those horror films in the 80’s? They always used some possessed doll didn't they?! Anyway, I digress. The one thing that hit me with their range of dolls is the attention to detail. All of the dolls have clothes that can be removed and they all have underwear sewn into them. 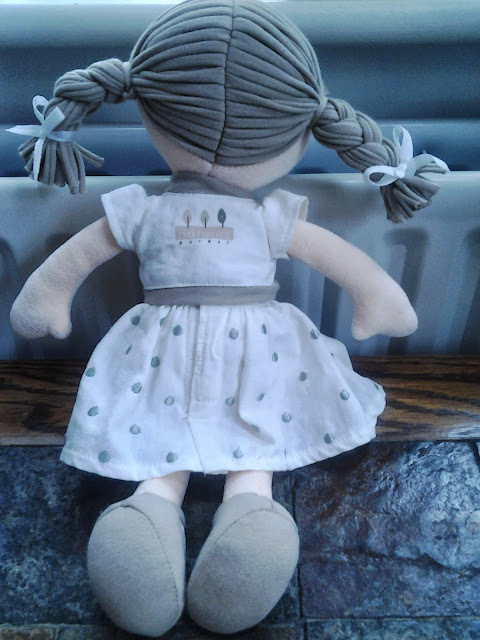 They are super soft and Natalie even has rosy cheeks that have been worked into the fabric used for her body. I so wish this sort of doll had been around when I was younger. I come from a generation of Tiny Tears, Cindy and Barbie dolls. I never played with my Tiny Tears and preferred Cindy to Barbie but I’d have loved a doll like Natalie. Natalie is probably as high as a standard ruler. I've not measured her but this is an estimate so she’s a great size for small children. 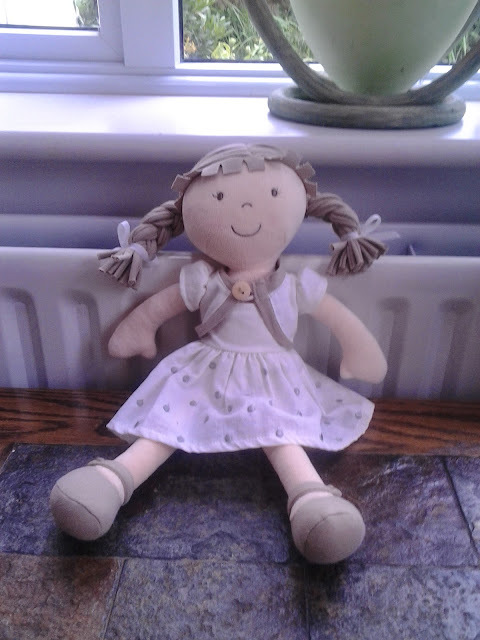 It’s also worth mentioning that in the ‘Loved by Parents’ awards for 2013, Natures Purest won Silver for Best Gift under £50 and they were winners of the Best Doll / Soft Toy category; both awards were for their Natalie doll. We were also sent 2 of the small world dolls from their World Family collection. We had Mama with Babba and Papa doll. 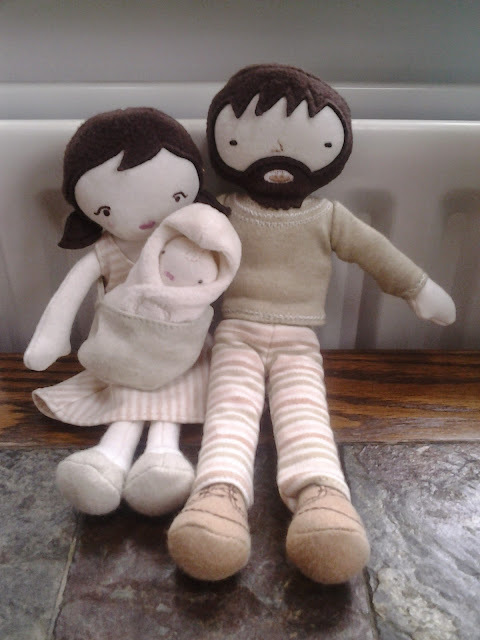 I just adore small world dolls and these are no exception. 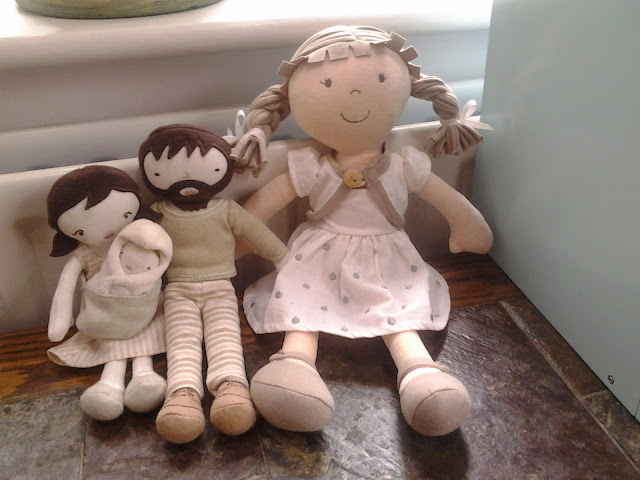 It’s worth mentioning at this stage that all the dolls are made using the off cuts of fabric from their main collection. This shows you just how hard this company is working towards wasting as little as possible. The small world collection has its own house, 2 European children, 1 Asian child and 1 African child plus Mama with Babba and Papa. I loved the fact that Mama was able to carry Babba in a sling. For me this is very important. Many of us as parents carry our babies in slings and to find a range of dolls that embrace this is refreshing. Babba has her own blanket as well as the sling so children can mix and match their play. One gripe I did have though, was trying to put Papa’s clothes back on. The cuffs of the top and trousers need to be made larger/wider so that the limbs fit more easily through the arm and leg sections. I know that even Sophia would struggle with them and as a 41 year old I had to do a big of tugging to get them through. So this is probably worth taking back to the design team to perhaps look at. 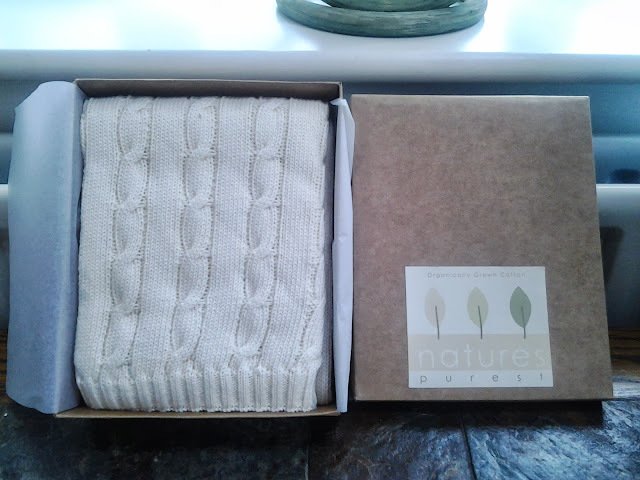 The last thing I was sent was a beautiful Organic Cotton All Over Cable Knit Blanket. Both my husband and I were impressed with just how soft this blanket is. It’s beautifully made and perfect for wrapping your little one into. 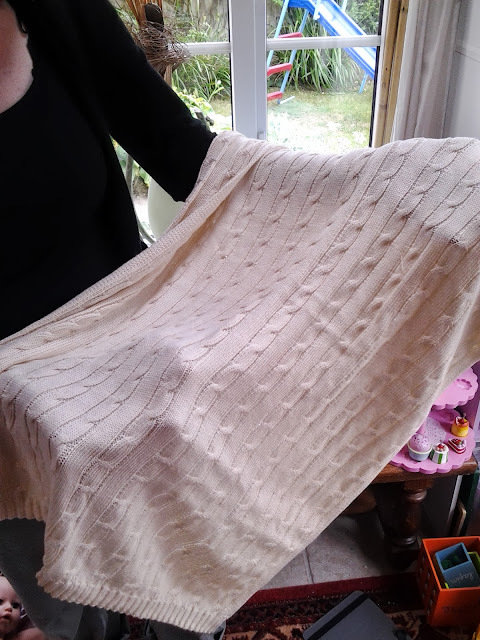 Baby blankets vary so much and can come with unnecessary tassles and additions that eventually become an annoyance or end up coming off the item in question. So for anyone looking for baby products which are fuss free but that still do not compromise on quality, this is a range worth looking at. Natures Purest have shops all over the UK, in Australia, Brazil, Chile, China, Hong Kong, Russia, USA, Czech Republic, France, Germany, Greece, Slovenia and Spain. In conclusion I highly recommend this range. I love their ethics, the range of clothing looks fabulous, the dolls are beautifully made and every item is beautifully packaged in recycled material and even comes with a gift tag too. This is a company whose attention to detail either with their products or their packaging is by this parent anyway, appreciated. 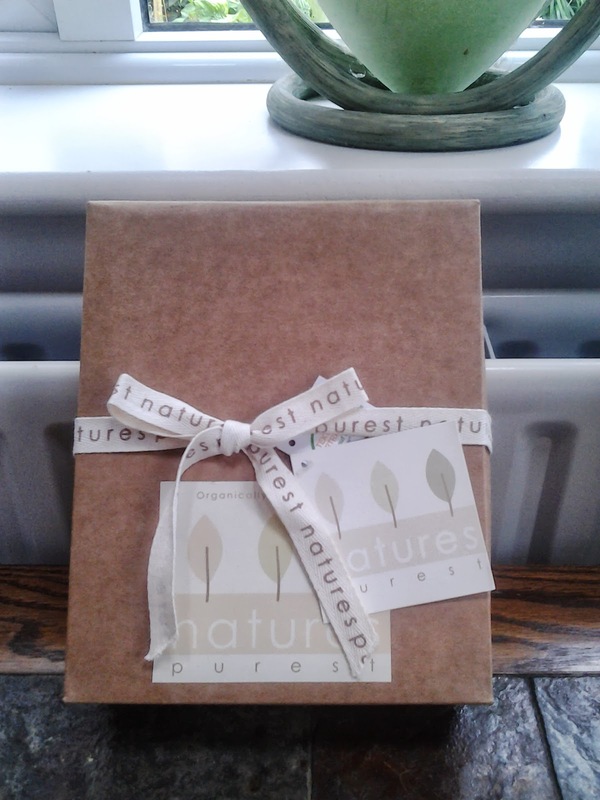 If you would like to find out for yourself about the full range available from Natures Purest then they have a great website you can browse, they are on Facebook and you can tweet them on Twitter too. Disclaimer: I was given a Natalie Doll and 2 Small World dolls for the girls in addition to an Organic Cotton Blanket to keep and review for this post. The views, thoughts and opinions expressed in this post are honest, true and my own feelings on the products I tried. I really do love this range and the ethics of this company.